Double 180gm vinyl LP pressing in gatefold jacket. Includes bonus CD. 2018 album from the progressive rock band. Riverside are back in the game. The band who have been around since 2001, who have so far released six long-players, a compilation, two mini-albums and two live albums, and who have played numerous tours across the world. That band is coming back this year with their seventh studio album called Wasteland, recorded as a trio: Mariusz Duda - vocals, guitars and basses, Piotr Kozieradzki - drums, Micha? ?apaj - keyboards and Hammond organ. 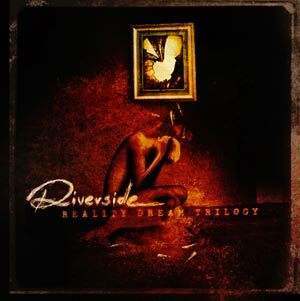 A tragedy that befell in February 2016 called into question the very existence of Riverside. The co-founder and guitarist of the band, Piotr Grudzi?ski, died suddenly just before his 41st birthday. The band entered the recording studio in December 2017 and Mariusz Duda assumed the duties of the band's guitarist. Wasteland is undoubtedly one of the musically heavier and more emotional albums in their discography.